Interview: Chloë Grace Moretz, Star Of 'Greta' Chloë Grace Moretz has been in the movies since she was a kid — her latest, Greta, is a horror-thriller in which she plays an earnest young woman whose new friendship turns terrifyingly toxic. Chloë Grace Moretz as Frances in the new horror film Greta. In the new horror-thriller film Greta, Frances and the titular Greta find each other in a time-honored old movie way: Frances sees a woman's handbag in a seat on the New York subway. This nice young woman, who has just come to New York, does a nice thing. She opens the bag, finds a wallet, ignores the money, and returns the bag to its owner, who turns out to be an elegant older woman full of conspicuous kindness and courtesy. They seem happy to find each other. "I don't get many visitors here. I've been so lonely since my daughter left," Greta says. "I can help you," Frances responds. My mom actually used to say I'm like chewing gum." Watch out! What starts as poignant turns toxic. The acclaimed French actress Isabelle Huppert plays Greta. And the fresh-faced young woman, Frances, is portrayed by Chloë Grace Moretz, who has been a working actor and star since she was about six. 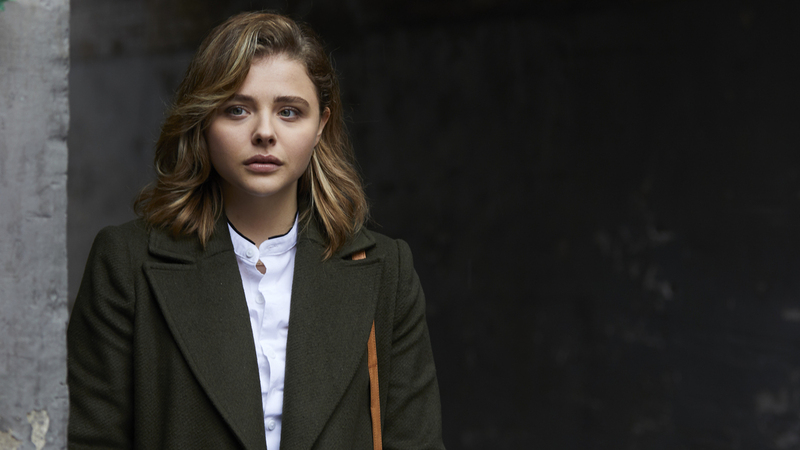 "It's always an interesting experience filming a thriller or a horror movie," Moretz says, "because you're dealing in emotions that are very heightened, and especially with this film, Isabelle and I felt it was very important to grow that friendship in the beginning, so when it does turn, and you find out who Greta really is, it comes as a sucker punch, and almost more so a heartbreak than just the fear that you feel in that moment." I've played a lot of characters since I was a young girl that were very steadfast, and very loud and boisterous in a lot of ways, and this character is one that is much more of a sober character, you know, she lost her mother about seven months prior to when we meet her, so she carries a lot of weight on her. And you know, she comes from a small town in Massachusetts and she's living in the big city for the first time, you know, I wanted to kind of keep that sentiment about her, where she isn't cynical, she isn't worn down by it yet. She is someone that I have looked up to for my entire career, she is a French cinema icon ... to be able to carry this movie in a two-hander with her, to go 50-50 with her was such an honor and we had so much fun playing these characters ... I think when you're dealing with such dark circumstances, you do try break the silence a little bit, and she and I — well, not to give too much away, but there's a moment in the story where Isabelle's character loses an appendage. In that movie we had prosthetics, and it was this funny thing that we kept having popping up, in different coffee cups and meals on set, where this bloody appendage would just float around set. I want to continue to question myself ... and have myself fear the next step that I'm going to take, because I think through fear is how you blaze a new trail within your own heart and within your own mind. You know, I've had so many years to really think about it ... Of course, I wasn't in your typical school system, I was home-schooled since I was nine years old. But I had this ability to travel around the world and be surrounded by people like Martin Scorsese at 13 years old, and Tim Burton at 14 years old, and Sir Ben Kingsley and Julianne Moore ... for me it was one of the most special experiences, to be able to be a kid and be surrounded by people of so much inspiration, and to get inside their minds. I wouldn't give anything in the world to change my childhood. A few years ago now I took a year and a half off to reconfigure where I was and really start this next iteration of my career, as the adult that I now am, on the right foot. And for me, this hopefully next 20, 30, 40 years I want to continue to question myself, and to find anonymity in the characters that I take on, and have myself fear the next step that I'm going to take, because I think through fear is how you blaze a new trail within your own heart and within your own mind. The easiest thing you can do as an actor is to know you're good at certain areas of what you do, and to continue to do them. But to call yourself out, and to slam yourself against a wall a little bit, and be like, stop it and try this, is very terrifying, honestly, and you end up really questioning yourself. But in the end it's really empowering. This story was edited for radio by Viet Le, produced by Sophia Boyd, and adapted for the Web by Petra Mayer.